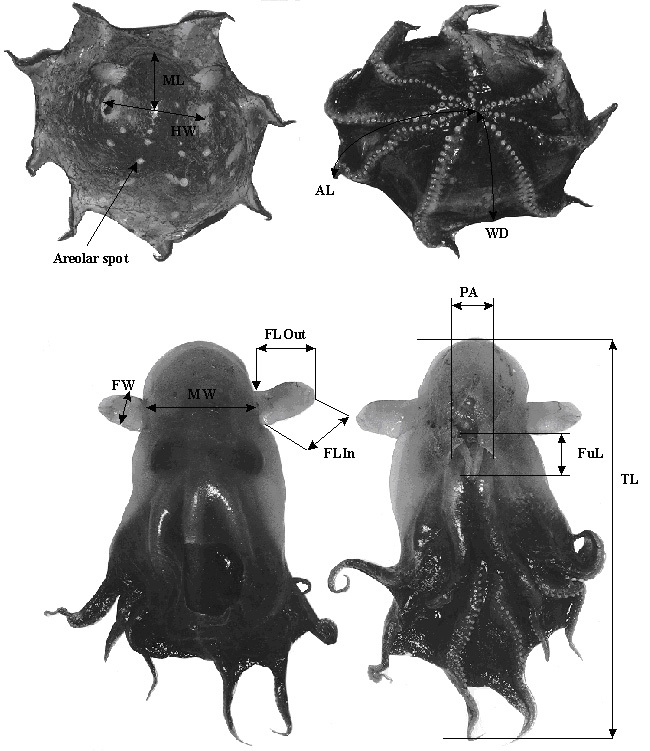 top: Opisthoteuthis sp. ; bottom: Grimpoteuthis sp. Raw measure delineation points. Legend: AL (arm length), FLIn (fin length inner), FLOut (fin length outer), FuL (funnel length), FW (fin width), HW (head width), ML (mantle length), MW (mantle width), PA (pallial aperture width), TL (total length), WD (web depth). top: Graneledone sp. 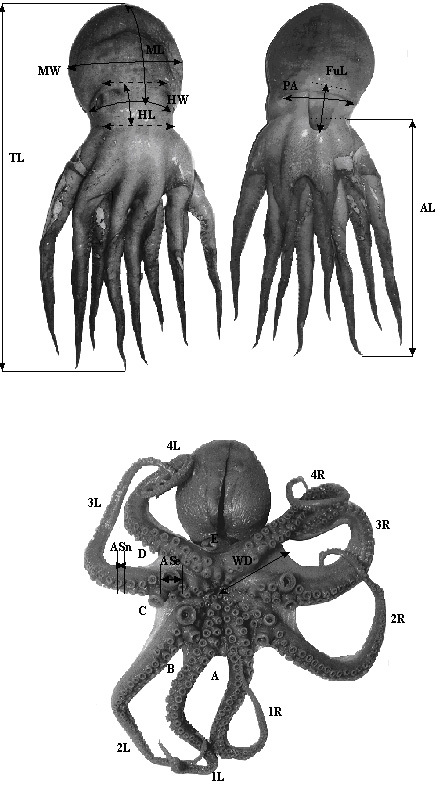 ; bottom: Octopus (s.l.) campbelli (Smith). Raw measure delineation points. Legend: A-E (web sectors A through E), AL (arm length), ASe (enlarged sucker diameter), ASn (normal sucker diameter), FuL (funnel length), HW (head width), ML (mantle length), MW (mantle width), PA (pallial aperture width), TL (total length), WD (web depth), 1-4R/L (arms 1 through 4 right or left).